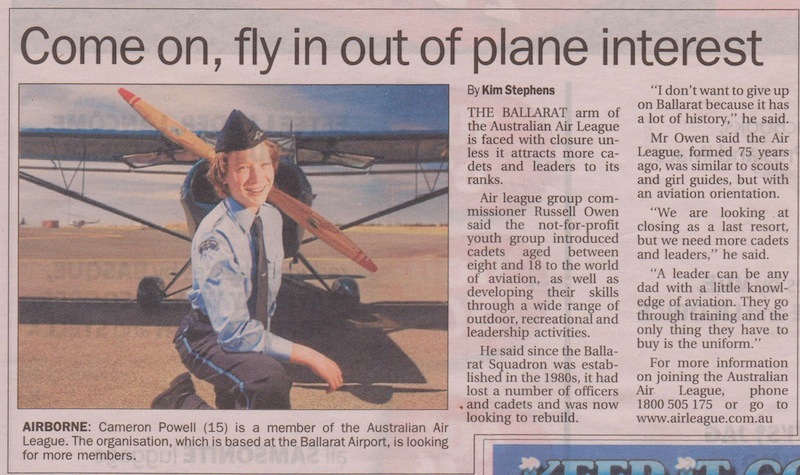 Ballarat youth are being urged to fly high and join the Australian Air League. The Ballarat Squadron was established in the mid-80s, but with a number of Officers and cadets moving on, the Squadron is now having rebuild. “It’s important to embrace this opportunity to provide a high quality youth organisation steeped in history,” Mr Owen said. 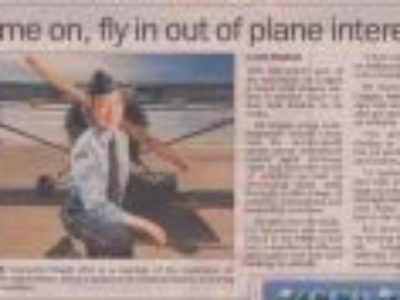 The Squadron meets every Tuesday from 7pm to 9pm at the traffi school building at Ballarat airport. For more information call 1800 502 175.